CREATING HEALTH #4: Gastrointestinal Balance — GOOD GIRL GO GO GO! Gastrointestinal Balance: Do you have THE GUTS for Health? LIFE is comprised of tightly integrated relationships between our Environment [what do we eat, how do we move, what toxins are in our life, how much sleep do we get, how do we resolve conflict and manage stress? ]; Gene Epigenome [our unique "Book of Life" which sets our body's on and off switches]; and our Microbiome [90% of our body is microbial]. We are not locked in to our genes and patterns - everything is modifiable. Healthy choices in our Environment lead to healthy changes to our gene Epigenome and greater balance in our Microbiome. Everything is connected and overlapping. This approach is central to a Functional approach to your good health. Disease [how things appear] - Pre-Diabetes, Diabetes, Obesity, Metabolic Syndrome, Heart Disease, Stroke, Depression, Autoimmunity, Alzheimer’s, Cancer, Autism, ADD, Hypertension. We don't get sick overnight. Disease is the accumulation of unhealthy choices, life patterns and events, and exposure to toxins over time. When we determine the root causes of Long Latency Disease [found in the roots], we can prevent disease from happening or make it disappear. Our intestines are so much more than just a tube for digestion and absorption. The gut contents are an inner world that is “outside” the cellular body. Its surface is a frontier of 100 square meters and is only one cell layer thick. Your gut flora are an organ [the microbiome] that contains 10 times more microbial cells than the body has mammalian cells. Our microbiome has 100x the DNA than all of human DNA combined. From a cellular perspective, we are 10% human and 90% microbial. Our gut is one cell layer thick. Most of our immune system is attached to the gut on the outside. It is poised and ready to attack threats. The most sophisticated immunologic component in our body resides in the gut. A profound neuroendocrine connection exists within the Gut which is considered to be "the second brain" where 90% of serotonin in your body is produced. Our gut is one cell layer thick. Most of our immune system is attached to the gut on the outside, poised and ready to attack threats. Is your gut trying to tell you something? Yes. 100 million people experience various GI problems e.g. 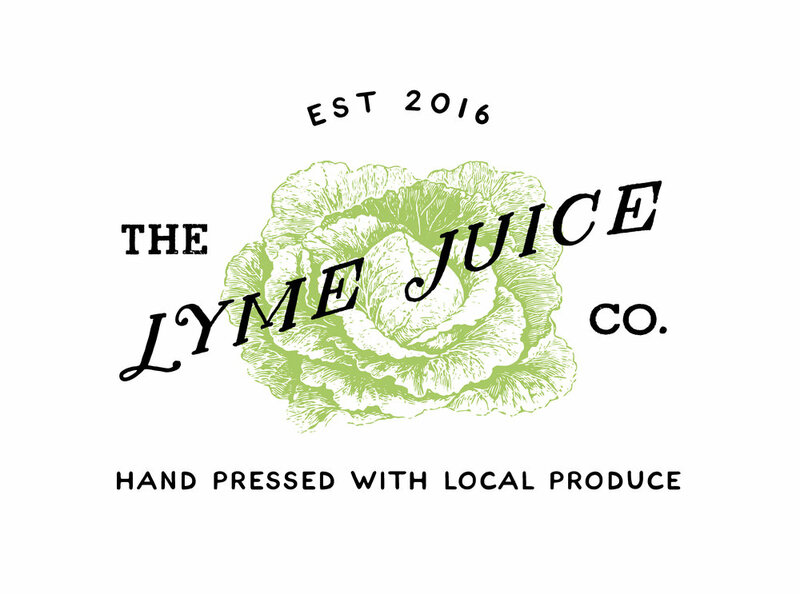 IBS, bloating, gas, reflux, constipation, diarrhea, and crampy pain. Americans spend $3 billion/year on OTC antacids, laxatives, acid blockers and fiber supplements [and some of the most popular prescription drugs used to alleviate digestive symptoms only exacerbate the cause, more on that below]. It is a common reason to seek medical care and a frequent reason for diagnostic testing...so yes, your gut is definitely trying to tell you something. The question is: WHAT is it telling you? The microbiome has evolved with humans. These "bugs" have allowed us to survive. The microbiome provides important functions in digestion, immunity, metabolism and detoxification. From a cellular perspective, our body is 10% human and 90% microbial. The gut microbiome in each person contains 100-150 times as many genes as the human gene pool and over 99% of the genetic diversity in our bodies is due to microbial colonization. 70% of the immune system is located in the gut epithelium [outer layer]. Gut microbes can drive appetite. Low Microbial Diversity in the gut drives obesity. Studies show that colonizing germ-free mice with the intestinal microbiome from obese mice led to an increased total body fat despite lack of change to diet. Dirt is Good for Diversity. Increased diversity within the microbiome is seen with decreased hygiene. Early and diverse exposure to germs is key to a “healthy microbiome.” Reduced microbiome diversity is seen in obesity, IBD, and autism spectrum. Diet is a powerful factor that can shift the gut microbiome. There is an increased carbohydrate digesting microbiome in populations with higher carbohydrate [CHO] intake. GERD [Reflux] - do we have it all wrong? GERD has been thought to stem from too much acid and our approach has been to block acid production [a case of treating the "leaves" not the "root cause"], but with Reflux, there already is LOW stomach acid. Many who have GERD also have SIBO. 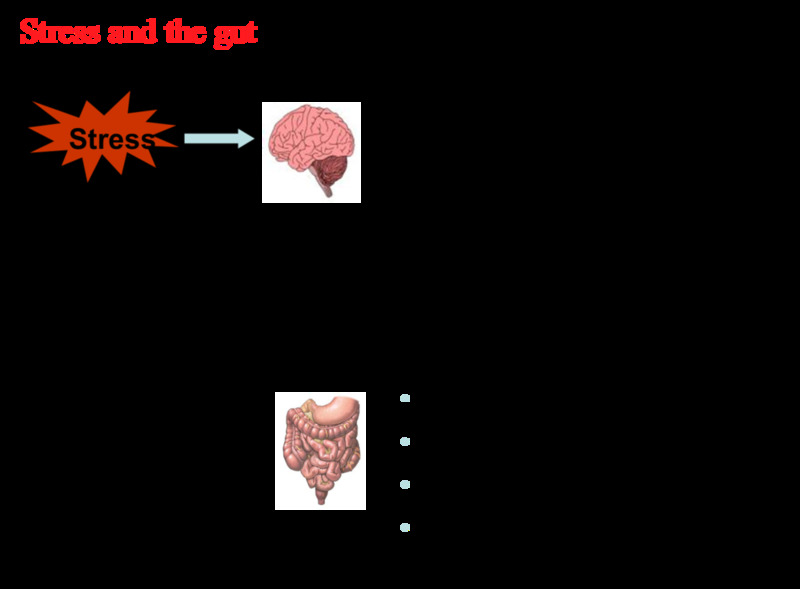 The diagram below outlines how it works: Low stomach acid leads to bacterial overgrowth + maldigested carbs [from poor quality simple sugars] which create increased gas and pressure, pushing up towards the esophagus while also increasing IAP [Intra-Abdominal Pressure]. 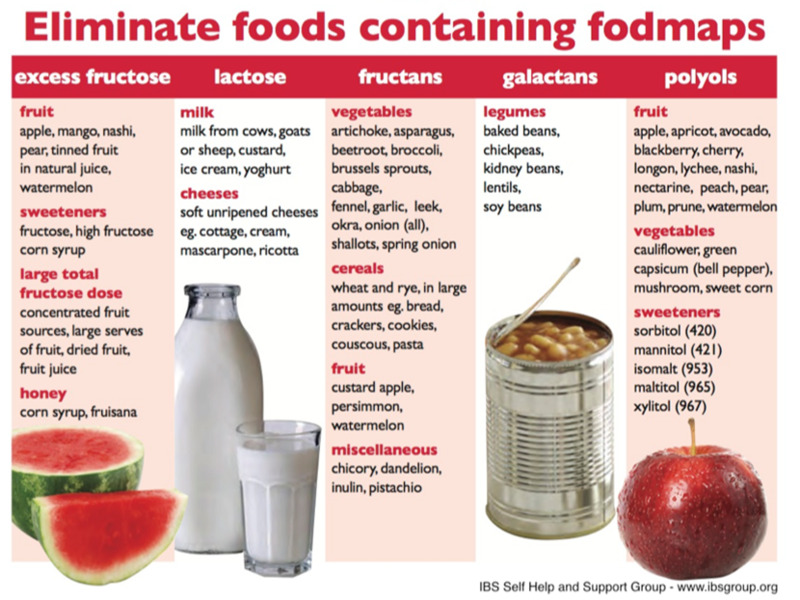 As SIBO breaks down the simple sugars [FODMAPS] it produces the gas that increases IAP that allows stomach acid to reflux into the esophagus. Reflux is not a result of excess stomach acid. It is driven by LOW stomach acid. Prolonged use of PPI's - Proton Pump Inhibitors, such as Prilosec and Nexium - to alleviate symptoms of Reflux increases low levels of acid needed to properly digest food. Bacteria produce an endotoxin called lipopolysaccharide [LPS] from shedding their cell walls and induce inflammation. Researchers have found that gut-derived bacterial LPS enters the bloodstream and triggers insulin resistance that typically accompanies type II diabetes. 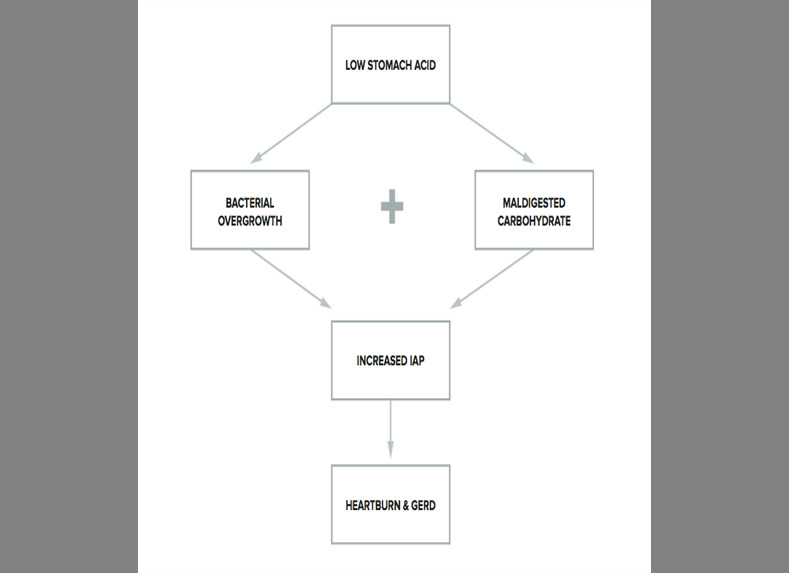 Chronic high-fat [from bad fat] raises LPS levels and sets the stage for metabolic disease. LPS induces Leptin Resistance [the hormone that tells us we’re full]. Intestinal Permeability - Uncontrolled Trafficking of Molecules. How does the barrier break down? The Vagus Nerve is the largest nerve. It's a super-highway, central to all our systems and travelling in both directions between the brain and the gut. Mindfulness and balance are associated with healthy gut microbiome. Depression, auto-immune, fibromyalgia [etc] are associated with STRESS, an UNhealthy gut and intestinal dysbiosis. Host genes shape the gut microbiota. 90% of our bodies is not human: it's microbial. Microbes are essential to our health and most of them live in the gut sending out messages to support digestion, immunity, metabolism. When the microbiome is disrupted and out of balance [dysbiosis] messaging to the brain and throughout our body gets mixed up. Big time. Fasano's research in 2003 demonstrated the prevalence of Celiac Disease in the U.S. to be far higher than previously thought, at a rate of 1 in 133 persons. Currently, 1:100 Americans have Celiac Disease. Gluten causes Celiac Disease and from this we know that Environment can impact our immune system. It may not just be gluten but other molecules, too, that play a role in digestive disease. WHEAT can be viewed as a Triple Threat from its contents - Amylopectin [a high glycemic carb, simple sugar that propagates an overgrowth of bacteria and yeast]; Gluten [gluteomorphins are an opiate-like substance]; and Fructans [FODMAPs - simple sugars]. The Impact of diet in shaping gut microbiota revealed by a comparative study in children from Europe and rural Africa. African and European results were exactly opposite. Firmicutes are common in depression and obesity and are dominant in the European diet and far less present in the African diet. Gelatin rich bone broths that are amino acid nutrient dense e.g. chicken, beef. Recommended reading: Nourishing Broth by Sally Fallon and Kayla Daniels PhD.